Hi dear buyer, the product just directly from the factory of Hantek, we will offer the best price and the Original product to you ,do not worry about the quality, and, We will pack it well to avoid damage on the way. any probelm please discuss with us. *80-250MHz bandwidth，minimum range 500μV /div，1GS/s sample rate. *Advanced digital trigger system, high trigger sensitivity. *Over 14 types of trigger function: edge, overtime, pulse, pattern, interval, etc. 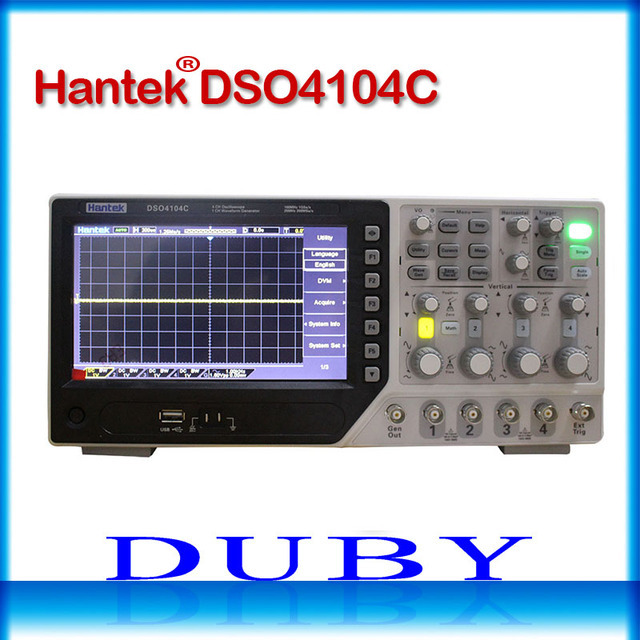 *Function/arbitrary signal generator25MHz,12BitS resolution, 200MHz DDS, ARB/square wave/sine wave/triangular wave/trapezoidal wave/impulse wave/DC etc.,easy to simulate the sensor. *Integrated USB Host/Device, convenient to communicate with PC. Support U-stick storage/systerm update. *Stable and reliable quality, sturdy and durable.